Enjoying The Langham Afternoon Tea with Wedgwood in London is truly an experience that one should have at some point in their life. 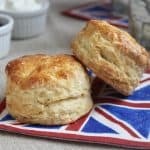 Yes, this my personal opinion, but if you follow me, you’re probably already a tea and scone lover, so this shouldn’t take much convincing. 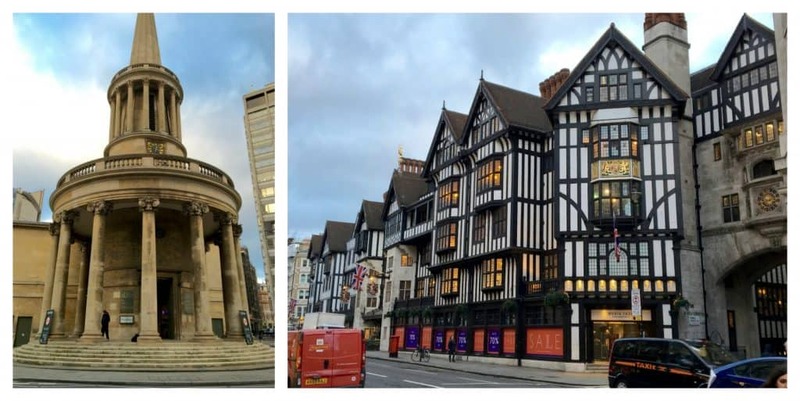 Did you know that The Langham, London, established in 1865, is the famed birthplace of afternoon tea, and the first “Grand Hotel” in Europe? Partaking in afternoon tea here is the equivalent to golfing at St Andrews’ Old Course in Scotland. 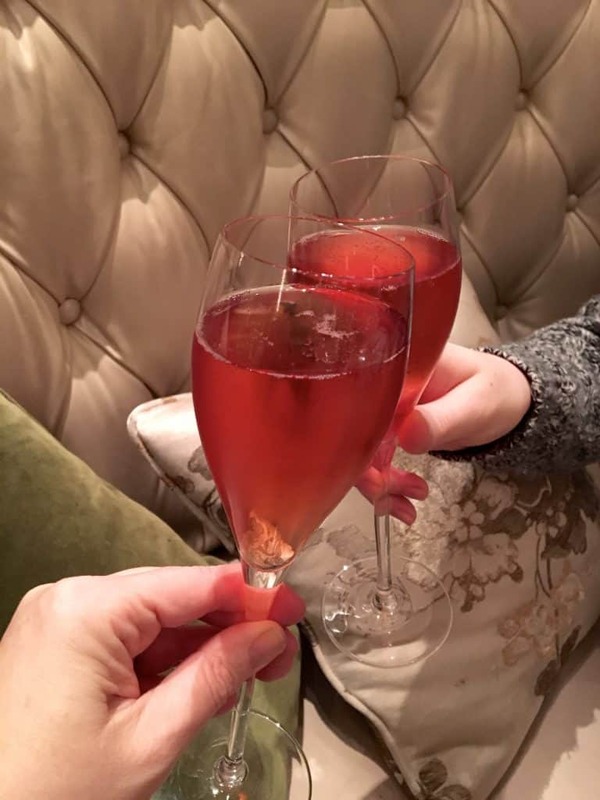 Disclosure: The Langham Hotel, London hosted my daughter and me for afternoon tea. No conditions were made, and as always, all opinions are completely my own. Last month, I flew to London with my daughter to accompany her to Edinburgh. She was beginning her study abroad program at St Andrews University and had quite a bit of luggage. It took her quite some time and energy to convince me to join her (wink, wink), but in the end, I relented. Sigh. 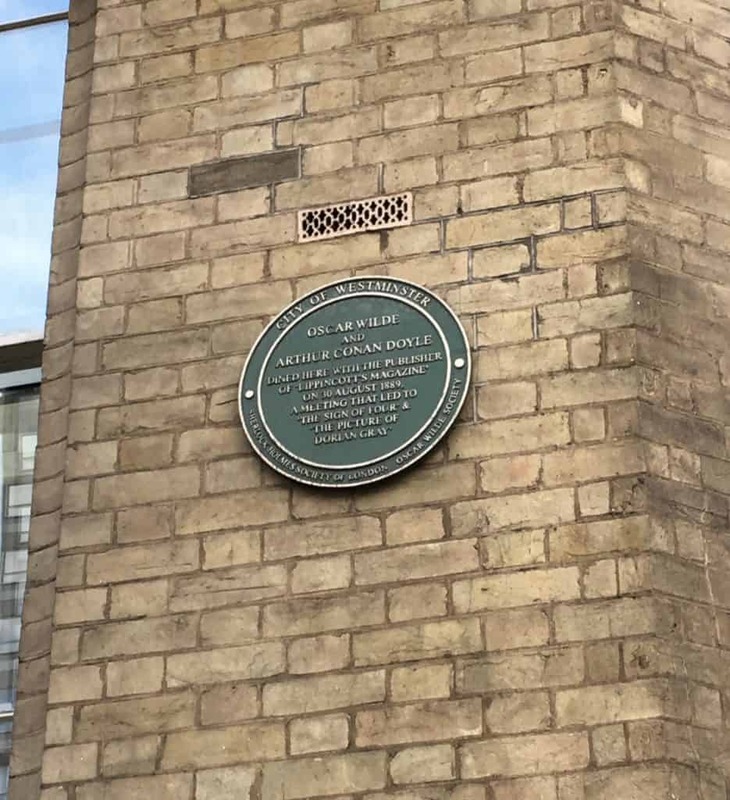 I don’t know if you’re a history or literature buff like I am, but I can’t even tell you what it means to me, knowing that I too, dined in the same place as Oscar Wilde and Sir Arthur Conan Doyle! 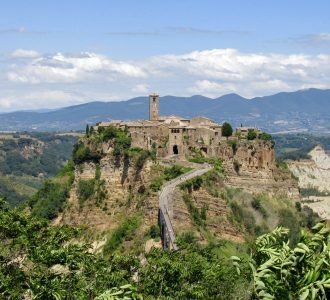 I feel very strongly that certain experiences when traveling cannot have a monetary value placed upon them, like this one. Upon entering the stately Langham Hotel, my daughter and I were promptly seated in the relaxing, and sumptuous Palm Court. 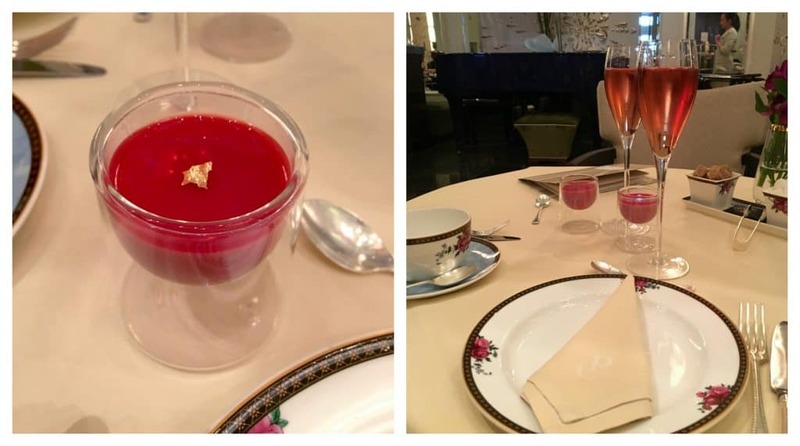 I had already enjoyed a Langham afternoon tea with Wedgwood in Pasadena and was curious to compare the two. Our waitress, Joanna, was eager to please and asked for our choice of champagne. My daughter and I both chose the N.V Laurent-Perrier Brut Champagne Rosé which arrived promptly. Soon afterwards, we were served a lovely cherry and cranberry posset amuse bouche. If you follow me on Facebook, you’ve often heard me rave about my friend Cynthia’s posset recipe. 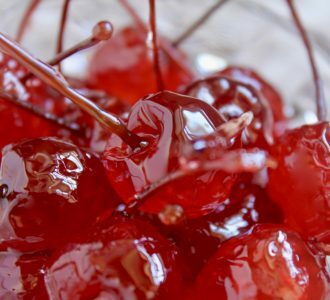 I’d never had a cherry or cranberry posset, but it’s now on my list as a larger serving would make a fabulous, light dessert. Incidentally, Cynthia and I indulged in Afternoon Tea by Wedgwood at The Langham Huntington, Pasadena, a few years ago. This beloved British tradition has spread and is now enjoyed worldwide. 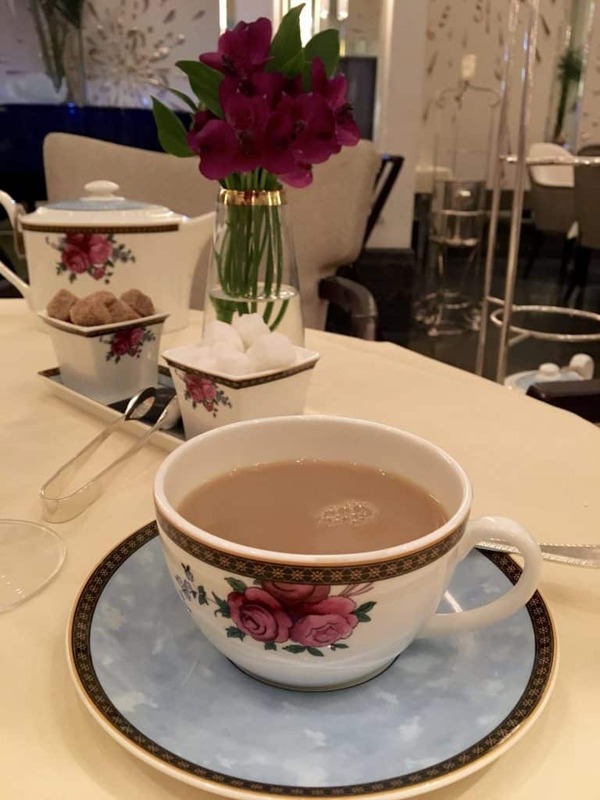 After choosing our teas, including the Langham’s own blend, the perfectly made finger sandwiches were served on the dainty patterned Wedgwood china. They included Cucumber with cream cheese and chives, and Peppered beef pastrami with red Leicester coleslaw. I have never enjoyed corned beef, but I adored this sandwich. They are all the creations of Head Chef Chris King and his team at The Langham, London. Also on the plate was Corn-fed chicken with golden sultana on carrot bread, a delectable Truffled duck egg brioche, and sitting atop them all was an open-faced Smoked salmon asparagus on rye. 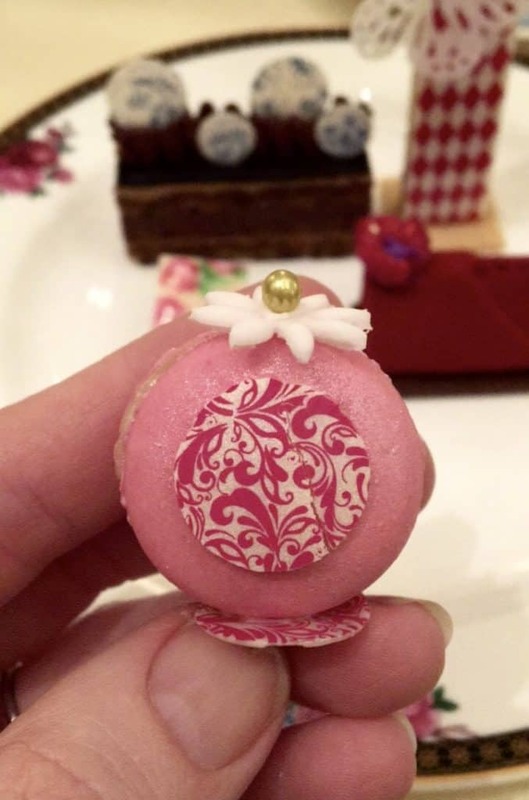 My daughter is allergic to tree nuts, however, The Langham assured us that the utmost of care would be taken to ensure that her Langham Afternoon Tea would be nut free. She was able to enjoy all of the sandwiches. Immediately after the savories were served, our teapots arrived, perfectly brewed according to the specifications for each tea. Joanna poured us each a cup of tea, and left us to enjoy it along with the savory treats. TIP: If you feel that you may not be comfortable in such a setting, possibly never having been for afternoon tea before, fear not! The Langham has you covered: check out these Dos and Don’ts for afternoon tea etiquette. The afternoon tea experience is truly a break from the banalities of everyday living. Having a hot cup of perfectly brewed tea alongside delectable finger sandwiches was the perfect antidote to our jet lag. 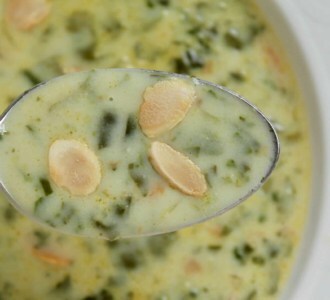 There was no rush to go anywhere; we just the enjoyed the food and tea in the uncommonly relaxing atmosphere. After we had finished our sandwiches, we were offered more. My daughter and I both had one more of our favorites. I was surprised that she chose the Corn-fed chicken sandwich instead of the Cucumber with cream cheese. 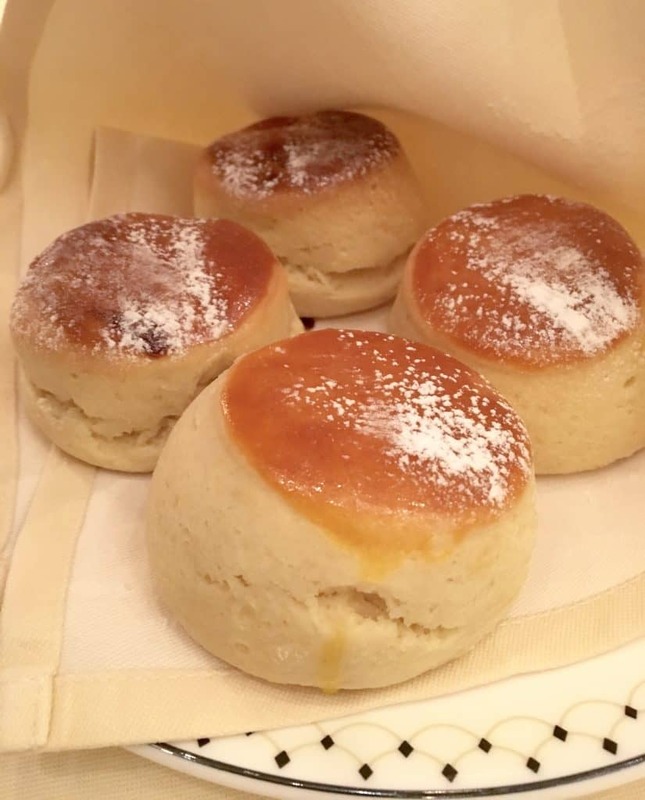 Next came the most beautiful sweets, with plain and raisin scones which are served with Devonshire clotted cream and strawberry preserve, along with more hot tea. This amazing presentation was created by Executive Pastry Chef, Cherish Finden and her culinary team. 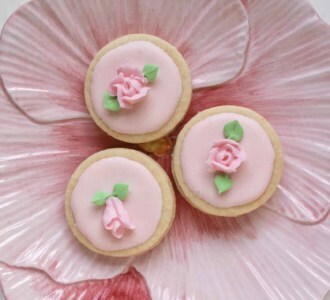 Inspired by classic Wedgwood collections, the pastries feature butterfly and daisy motifs, and are simply exquisite. Although pleasing to the eye, the flavors of each pastry were just as pleasing to the palate. My daughter had the same presentation, minus the macaron, due to the nut content. 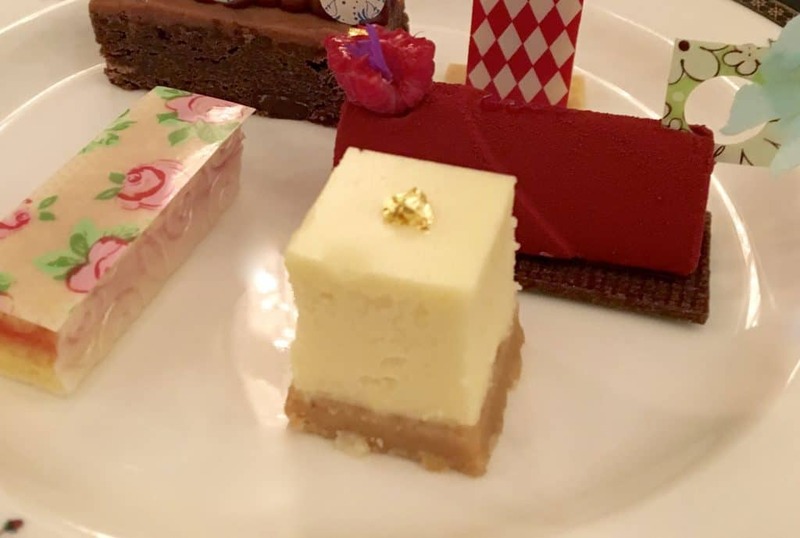 It was replaced with a gold-leaf topped lemon dessert. The pastries were phenomenal and if I had to choose, I just wouldn’t be able to pick a favorite. Although, it might possibly come down to a choice between the The ‘Paisley Parcel’ which had layers of moist chocolate cake enhanced with Kahlua and double espresso, and the simple ‘Hathaway Rose’. The flavors of this floral design topped Lemon Victoria sponge with raspberry jam reminded me of my childhood years in Scotland. 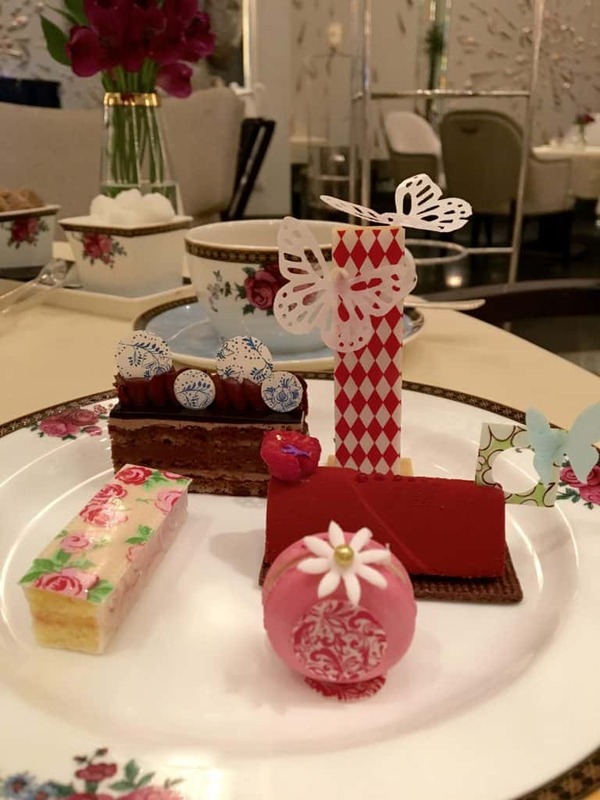 Two other offerings were the ‘Butterfly Bloom’ featuring a buttery shortbread tower with salted caramel, and the ‘Yuzu for You’ which incorporates the Langham No. 150 chocolate balanced with the acidity of the ‘yuzu’, a citrus fruit originating in East Asia. Last, but not least was the Wedgwood Wild Strawberry: a wild strawberry ‘pâte de fruit’ with a pistachio cream macaron. Before heading to London, one of my loyal readers named Heather had privately messaged me on Facebook when she saw that I was going to The Langham Hotel. She told me that her good friend, John Watson, was the very talented piano player in Palm Court. I asked our waitress if she could find out if the man at the piano was John Watson, and indeed, he was. It was lovely for him to come to say hello during his break. 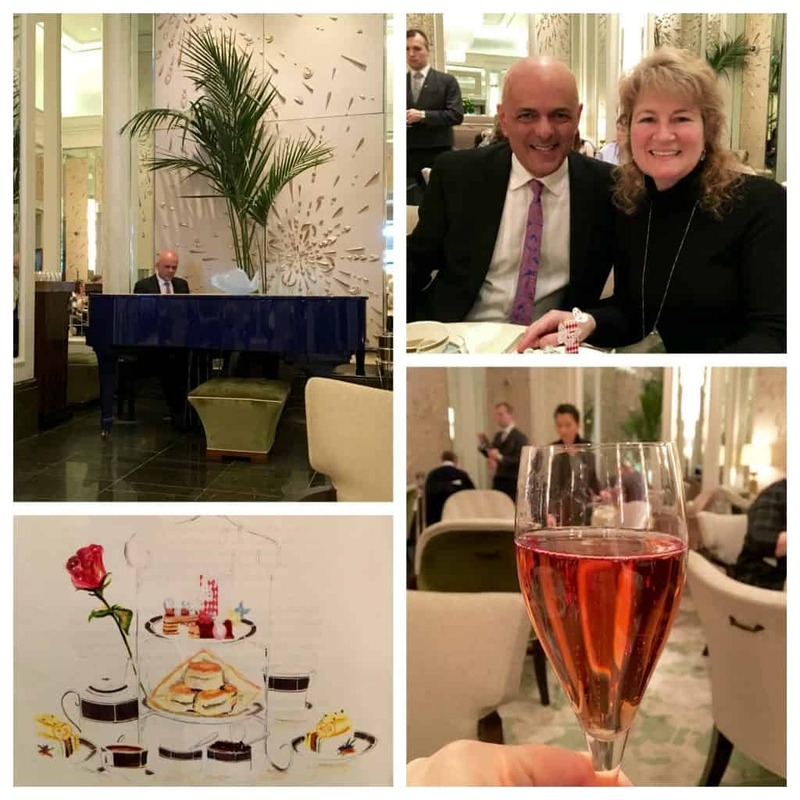 John is truly a brilliant piano player, and being able to listen to his music during afternoon tea just another reason to go to The Langham, London. 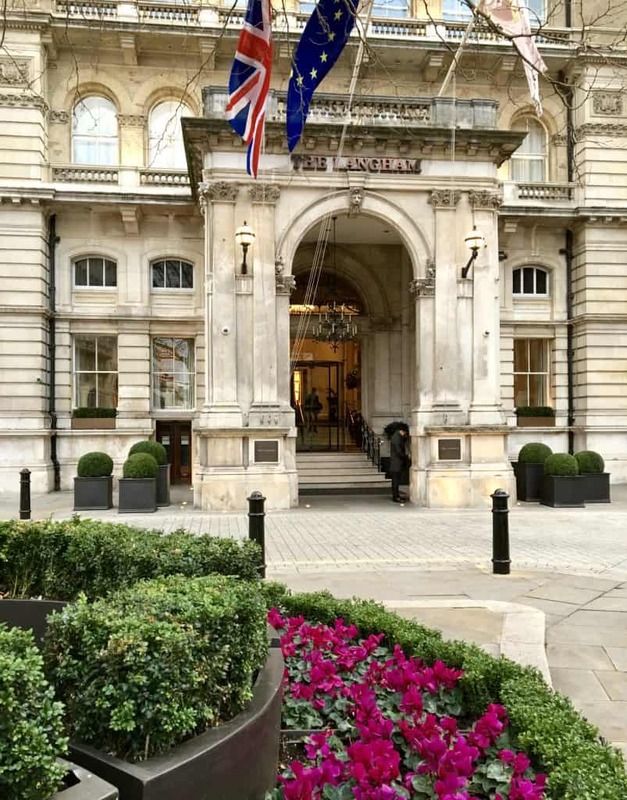 My daughter and I had such an enjoyable, quintessentially British experience having afternoon tea at the Langham in London. I do hope you are able to do the same if you are ever in England’s capital city. 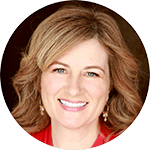 Not only was the food and beverage top-notch, but the service was exemplary; not overbearing, but Joanna and other servers were there if we needed anything (not that we even had to ask)! We were offered a beautiful take-away box to bring the remaining pastries with us. 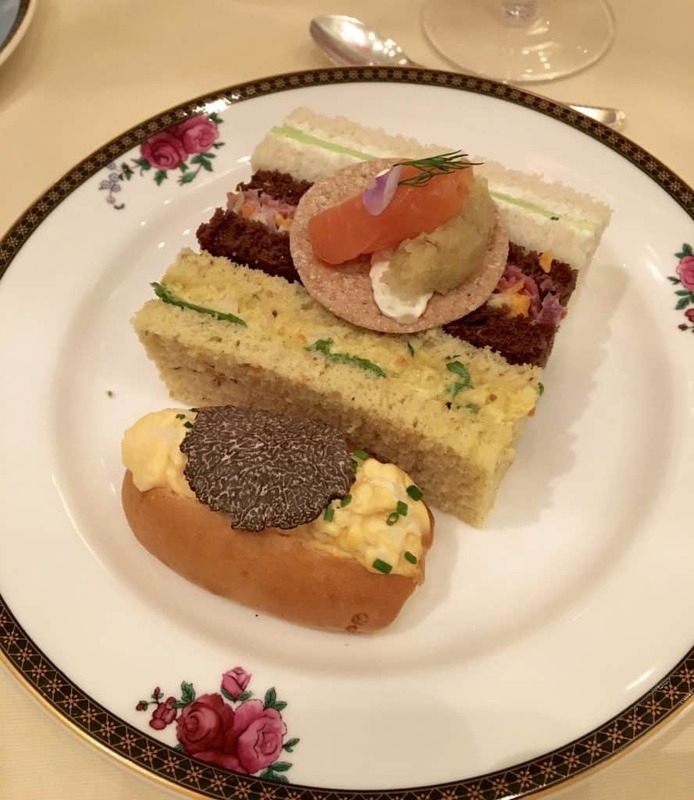 The price of afternoon tea at The Langham £49 (currently $61) which is definitely more than a little tearoom in the countryside would charge, however, your experience will truly last a lifetime. For the record, you should be having tea at those little tearooms, too! 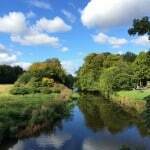 A completely different experience, but if you do your research, there are many gems throughout the UK’s towns and villages. 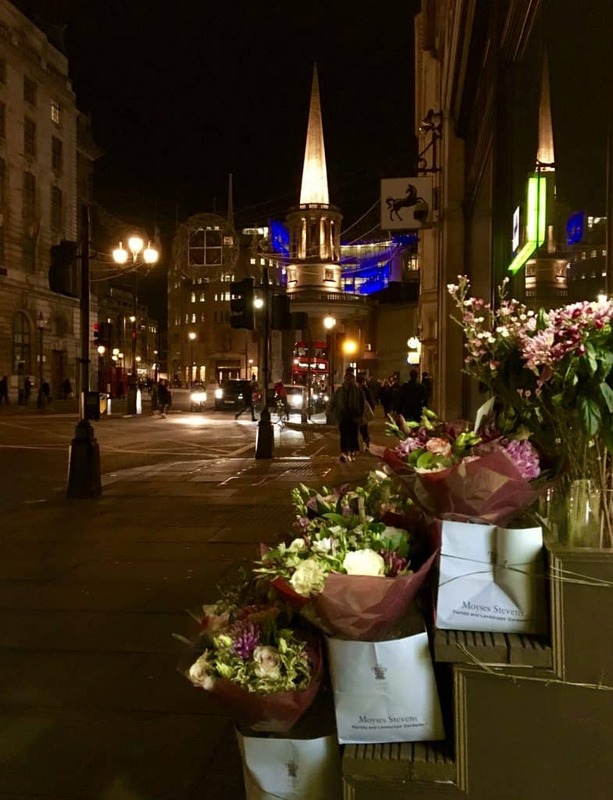 After having tea, we took a walk down Regent Street and wandered into Liberty’s of London, which is near The Langham, and strolled around the area until it was dark. 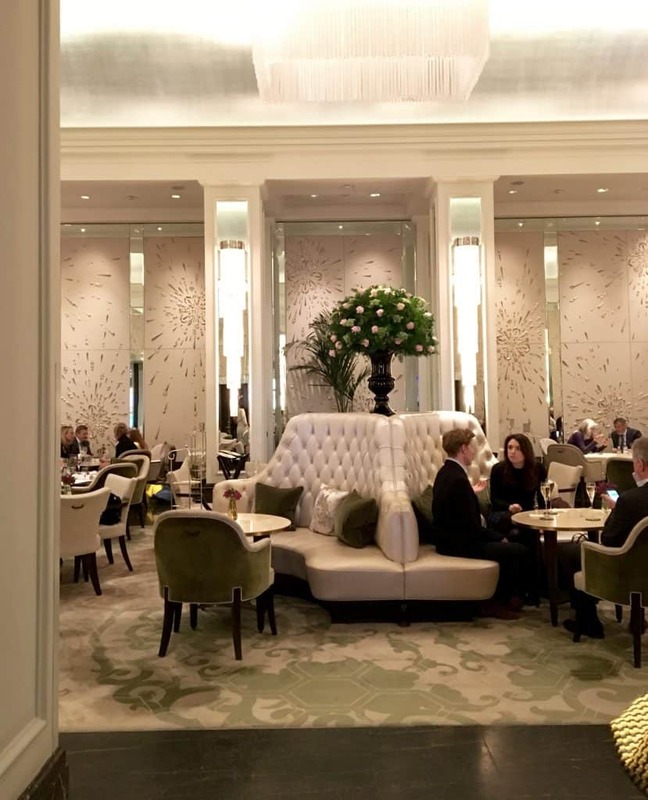 Disclosure: I was hosted for afternoon tea at The Langham, London. As always, all opinions are my own. I am disclosing this in accordance with FTC guidelines. How wonderful! Those pastires … perfection! I’m wondering if you’ve had high tea at the Ritz yet, Christina? Love this post! They were absolutely perfect, Sandy! Yes, I’ve had afternoon tea at The Ritz in Pasadena, which now happens to be The Langham! I’m not surprised that afternoon tea at the Langham, London, was amazing in 1987, David. That was so lovely of the two ladies to offer for you to join them! I wonder what would have happened if you did join them? A one time meeting during tea, or a lifetime of friendship? Isn’t it strange to think how our lives would be different with different choices? I just don’t see myself being able to eat dinner after so much amazing food. The service looks delightful! I’ve always wanted to do a high tea! The Langham has such a fabulous tea service! Went to the one in Pasadena, can imagine the one in London is even more fab! You can’t beat the original, Jessica! Yes, the Langham in Pasadena is fantastic, but yes, the London Langham is definitely “even more fab”! I agree, Tony! Thank you! Hello, I have truly enjoyed reading your post about the afternoon tea. Thank you for sharing! I am visiting London in May so already made a reservation, just to be sure I won’t miss this experience. I’m delighted, Tatyana! Please let me know how you enjoyed it upon your return! Happy travels! Ooooooh those desserts, looks like a circus party on a plate. On my next trip to London, this is a must-do. Yes, Cathy!! You’d love it! What a lovely and informative post, thank you! Lovely! This sounds like the gold standard by which all afternoon teas should be judged! 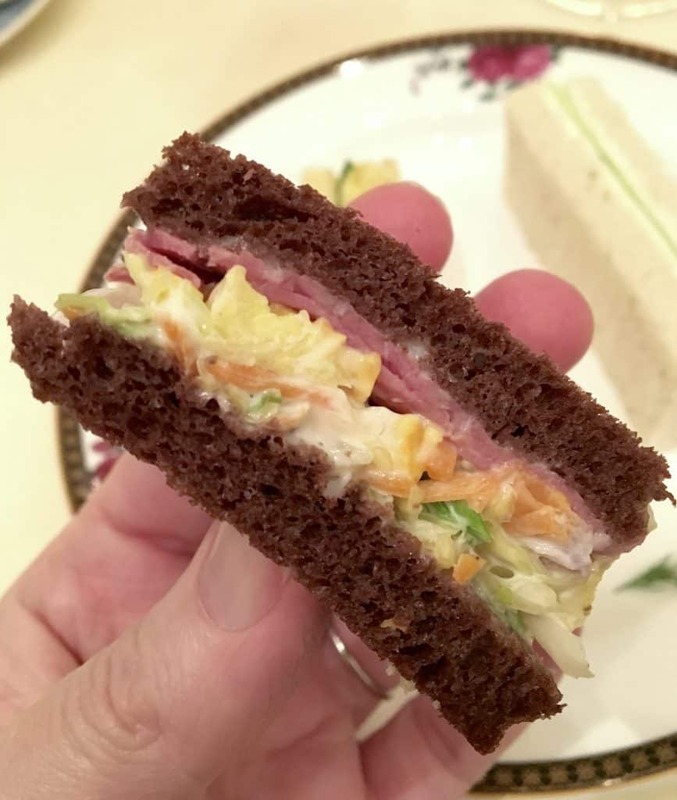 The filling on those finger sandwiches is bursting! I’m with Denisa, I’d go for seconds of the chicken sandwich too! And those pastries! 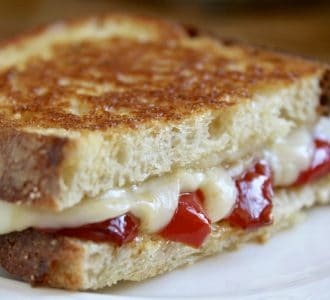 Each one looks like a work of art! Love the posset as an amuse bouche! I want to go back to London and try out the Langham’s tea! You’d be well impressed, Cynthia! I’m sure you’d love it as much as we did! Wow. 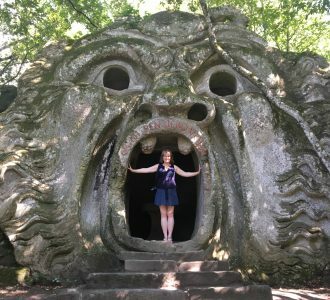 A beautiful article, Christina. You made me feel as if I were there right now. Next time in London, I will definitely make having tea here a priority. So glad you liked my post, Dr. Mike and I know you’ll truly enjoy afternoon tea with Wedgwood at The Langham in London! I read every word of this with envy. I love afternoon tea in London but it has been so many years since I last did it. This looks like the perfect tea experience in London, and I can see the benefit of doing it on your first day–a chance to relax and have a wonderful meal. Since you’re an expert on Scotland and I’ll be going there this summer, I wonder if it’s possible to enjoy afternoon tea in Scotland. If so, any places you’d recommend? Thank you, Jenna! 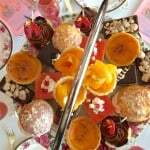 Absolutely, there are many wonderful places in Scotland to enjoy afternoon tea, ranging from 5 star hotels to little tea rooms tucked away in little villages! 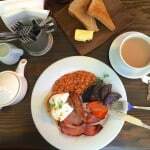 For example, The Balmoral in Edinburgh (see my post), Craigard Tea Room in Helensburgh (another post), and The Willow Tea Rooms in Glasgow. You can check The Scottish Baking Awards to find lots of places my friend Melanie has approved as having proper Scottish baking. Enjoy the UK! 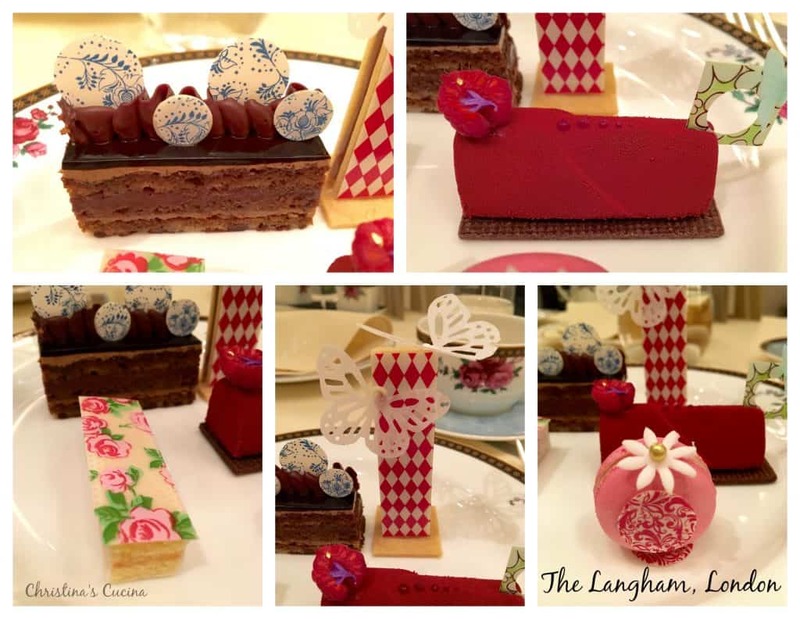 Everything about the Langham Afternoon Tea looks absolutely exquisite! Is there anything better than a traditional British afternoon tea? I don’t think so. And Devonshire clotted cream might just be Britain’s greatest gift to the culinary world. Oh yes, that would be lovely to stay at The Langham, but definitely need to include this afternoon tea experience, Jill! Maybe we’ll be able to go together one day!